The human body is a very complex system, that is quite hard to understand. Scientists are still working on figuring out how and why things work like they do. We still do not quite understand where feelings and emotions come from and why do are exactly like we are. Another thing that is still a mystery is the moment before dying. Many doctors have reported that patients make similar comments before passing away. 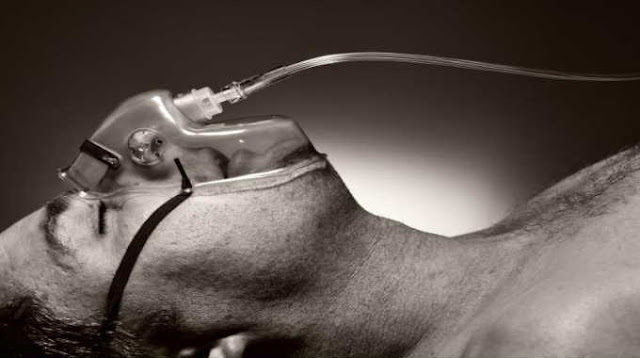 It seems, that the patients know that they are dying even before doctors do. Their indicators might even improve and the doctor might think that there is still a change, but the patients already feel that the end is near. People, who have a sixth sense, often say goodbye to their loved ones before they pass away. It is a strange thing that they kind of feel when it is time to go. These people start to make up with their past enemies and fix relationships that need fixing so they can pass away without unfinished business. This is not very common, but it is actually common to feel one’s death right before it happens. This is a bit scary, but at the same time, it is good, because then you have a chance to say goodbye to your loved ones. Some people might argue that there is no such thing as knowing your death time and the cases, where people start to say goodbye before dying, are purely a coincidence. A study was conducted at the University of Kent’s School of Psychology, which researched the possibility that people detect their death through scent. Arnaud Wisman, who was the head of this study, analyzed the body during the dying process. It turns out that when a person dies, their body breaks down and many scents are released during this process. One scent is putrescine, which is the result of the decomposing process. Humans do not consciously know the smell or notice it, but subconsciously the mind recognizes the smell and knows that the end is near. Arnaud Wisman conducted different experiments using the smell of putrescine, ammonia, and water. The participants were exposed to different smells and then their reaction was examined. Participants associated putrescine with negative emotions although none of them was familiar with the smell. But no participant associated the smell of putrescine with death or fear. That’s because our conscious mind does not see the connection, but the subconscious mind does. The study, which conducted at the University of Kent’s School of Psychology, is part of a much larger question that many scientists are dealing with. There have been studies that show a connection between emotions and scent. For example, some kind smells can make us feel scared or stressed. So when someone you truly care for is in a hospital or just ill and wants to see you, then definitely find time to go and visit them. Maybe they know that the end is near and they just want to say one last goodbye to you. If you miss this opportunity, you are going to regret it for the rest of your life.